Fatimah Isah, from Gwiwa LGA of Jigawa state bled to death following pregnancy complications. Fatima was unable to access quality healthcare during pregnancy and delivery. As a teenager, she suffered pre-eclampsia and eclampsia, no thanks to pro-longed labour. Fatima developed the condition as a result of labour that lasted for two weeks. She was sent to her parents’ home at seven months pregnancy. Caught in the web of tradition, Fatima could not attend antenatal care in the hospital, because her parents wanted her to deliver in the house. Fatima was faced with traditional constraint in seeking care and by the time the family consented, she had been in labour two weeks. Her husband later took her on motorcycle to a specialist hospital in the State that was two miles away. She underwent a Ceasarian Section, but, despite efforts by the medical doctors at the hospital, she came down with pre-eclampsia and eclampsia. She later bled to death, but her baby survived. Fatima’s mother narrated: “Newly married women who are pregnant for the first time often stay with their mothers when they are in their seventh month. It is our tradition. This tradition is very important because the specialist hospital to this place is two miles away. The case of Zanaib Usman from Tankarkar LGA of Jigawa, is not different. Zanaib also went into labour, while at home and was rushed to the hospital for delivery. For days, Zara remained in labour. Though Zanaib later had normal delivery, she also bled to death due to prolonged labour. Zaniab was not lucky as Fatima because her baby died. At the end of the two weeks, Zanaib was faced with one of the established factors that contribute to high rate of maternal and infant mortality in the country, bad road. Navigating through the pot holes on a motorcycle Zanaib’s bleeding got worst. Fatima and Zanaib are among hundreds of Jigawa women who suffer and die due to pregnancy complications. Jigawa State was among the six states in the country where the Federal Government recently deployed a task force to coordinate strategies for reducing pregnancy-related deaths among women. Commenting, Prof Isaac Adewole, Minister of Health, said that the 36-member task force was set up to focus on six States of the country with the highest maternal mortality cases. He said that the States had been found to have the worst maternal health indicators, using Skilled Birth Attendance Rate (SBAs) as a proxy indicator. They are Yobe, 10.2 per cent; Kebbi, 9.3 per cent; Katsina, 7.7 per cent; Jigawa,7.6 per cent; Zamfara, 6.1 per cent; and Sokoto, 5.4 per cent. Mr. Adewole, a professor of gynaecology, lamenting the high prevalence of MMR in Nigeria as shown in the Skilled Birth Attendants (SBAs) proxy indicator in which Jigawa ranked fourth after Katsina in the list of six States of the country with the highest maternal mortality cases. With less than six million populations, Jigawa records no fewer than 1100 maternal deaths per 100, 000 live births, in addition to non-documented maternal deaths in the State since 2007. The health performance indicators of Jigawa state from the Nigeria Demographic and Health Survey (NDHS) 2008 and 2013 as well as Multiple Indicator Cluster Survey (MICS) 2011 confirmed the figures. Also statistics from both NDHS 2008 and MICS 2011 listed that inadequate health care workers and their absence, even unethical attitudes in some facilities are among the endemic challenges worsening the State’s maternal health indices. According to the survey, the doctor – population and nurse/midwife – population ratios in the State were reported to be 1:32,134 and 1:8,333 respectively. “Critical health manpower in the state including doctors, nurses, midwives are seriously lacking,” the survey stated. It added transportation as a widespread challenge that is confronting accessibility and discouraging attendance at health facilities in the State. The health sector in the country is bloated with lower cadre non-essential staff with few specialised manpower. For instance, the WHO recommended doctor patient ratio is 1:600, in Nigeria it is 1:3,500, but in Jigawa, it is 1:32,000. Despite this, the health sector has very high wage bill of over N730 million per month. Lamenting the situation in 2015 in a presentation tagged, ‘Health Sector Plan and Strategy,’ Dr. Abba Zakari Umar, Commissioner Health, said; “The health sector in the state has undergone reform over the last decade. Strategic plans developed, annual operational plan and MTSS developed and the Gunduma health system established. He further regretted that only 50 per cent of these people have access to health care. The Commissioner therefore noted that the best way to reach the people which have 91 per cent of them living in rural areas is through robust Primary Health Care System which ensures deep penetration of rural communities. In a related development, a study conducted by Civil Society Legislative Advocacy Centre (CISLAC) further highlighted the gory picture of maternal rate in the State and put the rate of eclampsia at 73, while Anemia, 38 per cent; Hemorrhage, 33 and Puerperal sepsis was 21. The Law establishing Jigawa State Primary Health Care Development Agency was signed into law by Governor Badaru Abubakar, to pave way for the agency to access the 15 per cent provision from the one per cent Consolidate Revenue Fund for the provision and maintenance of Primary Health Care facilities, as enshrined under Section 11 (3)(c) of the National Health Act 2014. While Jigawa State Government in 2009 created a separate budget line item for Free Maternal and Child Health services, the State’s Free Maternal and Child Healthcare (FMNCH) Bill is presently awaiting passage into legislation. However, findings by INDEPENDENT showed that the health sector has and allocation of N16,995,868,000 that is 13.1 per cent of the N129,870,000,000 of the State’s 2017 Budget. The budget for FMNCH is N15 million monthly, but it was increased to N75 million monthly and was expected to commence from October last year, according to INDEPENDENT findings. While MNCH2 a DFID programme is supporting 162 Facility all of which are primary health facilities. However, 13 Secondary and 11 comprehensive health facilities that are offering FMNCH services were receiving from the 15 million monthly budgets until October this year when it was increased to N75 million. The Free maternal and newborn child health (FMNCH) is the programme that gives free drugs and services to pregnant mothers from conception to 40 days after delivery and also to children’s under five years. 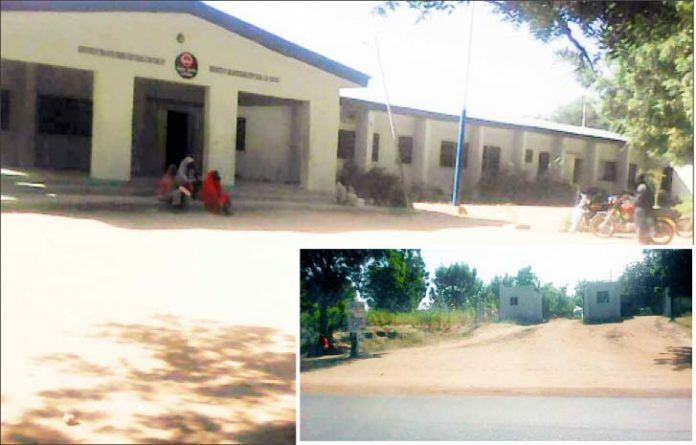 INDEPENDENT further discovered that overstretched health care facilities and high patients-to-midwife ratio are contributing challenges to effective maternal and child health care service in Jigawa State. Therefore, the Civil Society Legislative Advocacy Centre (CISLAC) after a meeting with members of the State Ministry of Health recently, made some key recommendations to reduce high maternal and child deaths in the State. These include; appropriate monitoring and oversight on health care workers to ensure their full presence and total compliance to medical codes of conduct to restore confidence in women and improve attendance at health facilities in Jigawa state. According to CISLAC, there is need for provision of adequate means of transportation to mitigate challenges confronting emergency movement and accessibility to the health facilities. The organisation further recommended; “Appropriate awareness and sensitisation through constructive and evidence-based advocacy by the State’s civil society and media to drive required policy and legislative interventions on the citizens’ maternal and child health care needs, especially in the grassroots. The group advocated infrastructural upgrade through the acquisition of modern equipment and replacement of obsolete ones with adequate and well-trained work force. It further recommended; “Building of synergy among relevant stakeholders to provide legal mandate to the Free Maternal and Child Health services to promote sustainability.